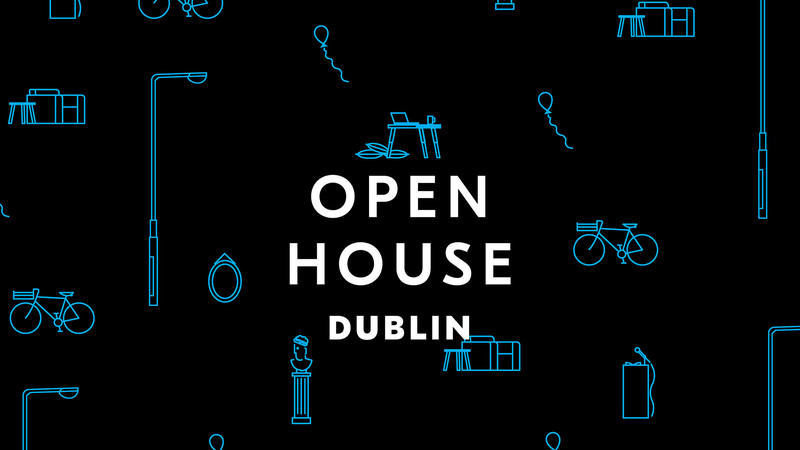 Open House Dublin is Ireland’s biggest architecture event, with hundreds of building tours and events across the city. Over the course of a long weekend, attendees of all ages are invited to explore – for free – the built environment around them. 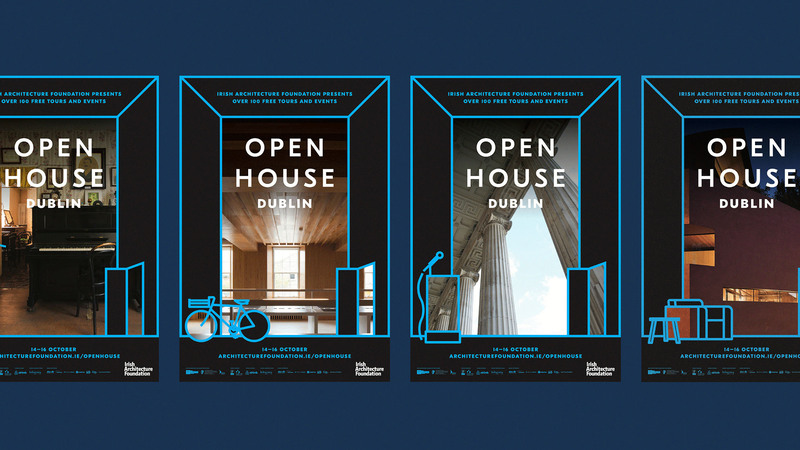 We have been working with the Irish Architecture Foundation on this project for a period of 8 years. Under the title of ‘Presence of the Past’ the 2016 event explored the central role of architecture in our society, how it frames and structures the patterns and practices of our collective life, from domestic to civic, from personal to public. 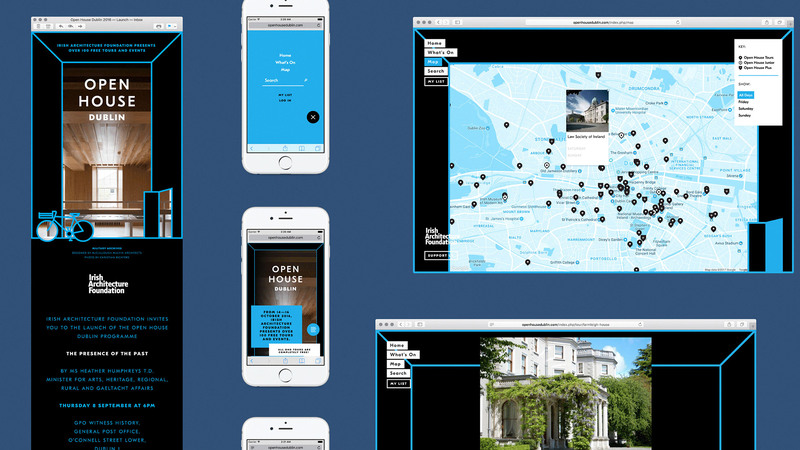 We came up with a fun solution that felt at home in print and digital, and which showcased the amazing event and its underpinning spirit of generosity and openness. We developed a flexible graphic framing device – incorporating an open door – which gave glimpses of the buildings and spaces on show.